Konashevych-Sahaidachny, Petro [Сагайдачний, Петро; Sahajdačnyj; née Конашевич or Кононович; Konashevych or Kononovych], b 1570? in Kulchytsi, Sambir region, Galicia, d 20 April 1622 in Kyiv. 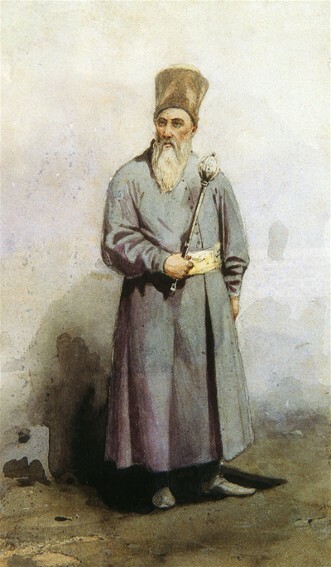 Zaporozhian Sich hetman, organizer of Ukrainian Cossack armies, and political and civic leader. He received the appellation Sahaidachny at the Zaporozhian Sich. He was a member of the Orthodox nobility in Galicia, and he studied at the Ostrih Academy. 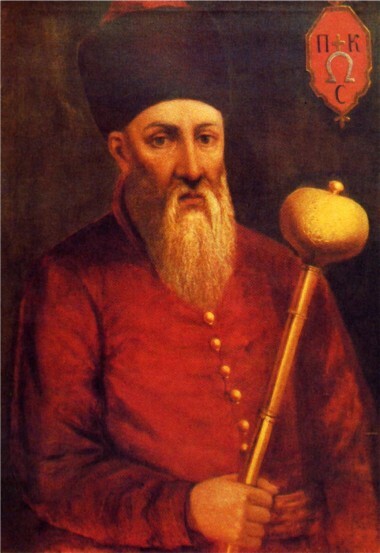 In 1592–1600 he worked for the Kyivan judge I. Aksak. He traveled to the Sich in 1601 and participated in campaigns against the Tatars and Turks. 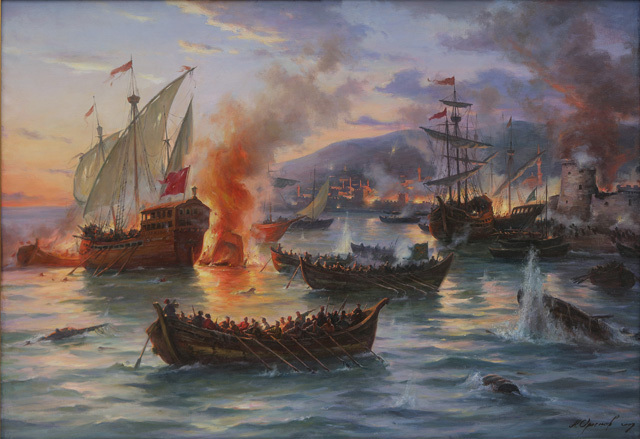 Under his leadership the Cossacks captured Ochakiv and Perekop (1607) and various towns along the Anatolian coast in Turkey (1608), including Sinop and Trabzon, where they destroyed a force of 10,000 Turks and freed many slaves. In 1618 Sahaidachny joined the anti-Turkish Holy League. Also in that year he led a 20,000-strong Cossack army in Władysław IV Vasa's Polish campaign against Muscovy. Those victories strengthened the Cossack order and captured the attention of European rulers. 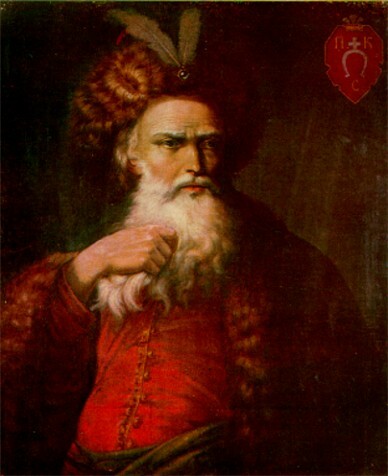 Sahaidachny's orientation as hetman (1614–22) was toward the conservative faction of the Cossack starshyna. He transformed the Cossack Host into a regular military formation and imparted a statist character to the Cossack movement. 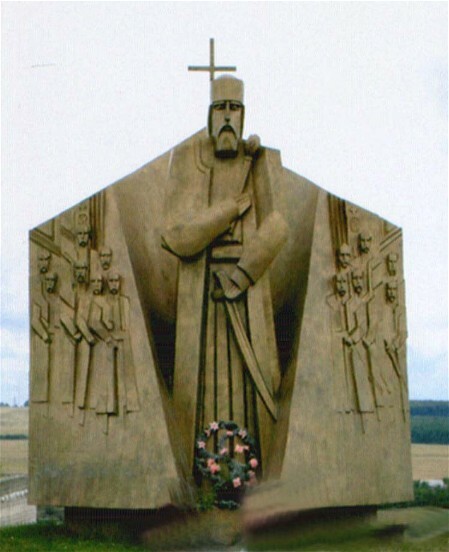 Sahaidachny also fought for the religious and cultural rights of the Ukrainian people. Together with the entire Zaporozhian Host he registered in the Kyiv Epiphany Brotherhood in 1620. He contributed to the establishment of a cultural center in Kyiv and sought to unite Cossack military might with the Ukrainian clergy and nobility. Owing to his efforts the Orthodox church hierarchy in Ukraine and Belarus was revived in 1620, and Patriarch Teophanes III of Jerusalem ordained Metropolitan Yov Boretsky and five bishops. 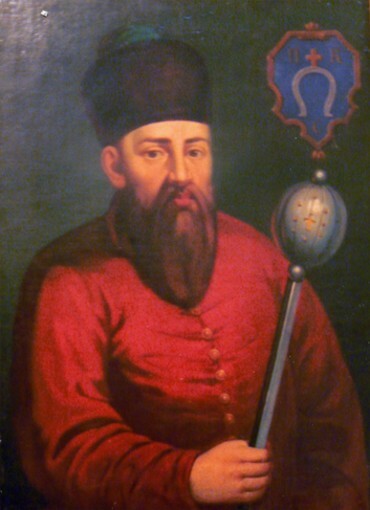 Sahaidachny's moderate policies regarding Poland provoked dissatisfaction among Cossack circles, and in 1620 they briefly elected Yatsko Borodavka (Nerodych) as hetman. 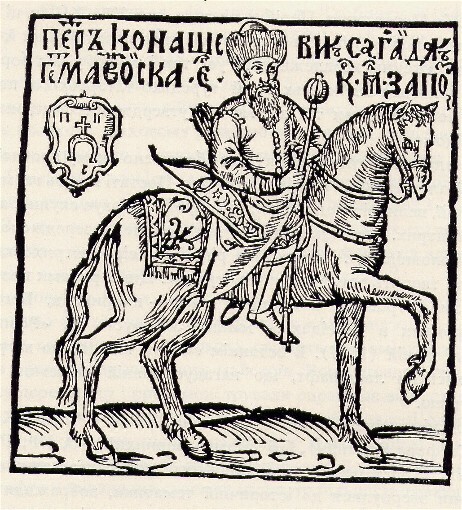 In 1621 Sahaidachny led a force of 40,000 Cossacks alongside the Polish army in the Battle of Khotyn, at which they routed the Turkish army. Sahaidachny died of wounds suffered in the battle; he was buried in the Kyiv Epiphany Brotherhood Monastery. He bequeathed his assets to the brotherhood schools in Kyiv and Lviv and for church causes. The director of the Kyiv Epiphany Brotherhood School, Kasiian Sakovych, wrote the panegyric Virshi na zhalosnyi pohreb zatsnoho rytsera Petra Konashevycha Sahaidachnoho (Poems for the Grievous Funeral of the Noble Knight Petro Konashevych Sahaidachny, 1622), which remains a valuable source of biographical information on Sahaidachny. Some scholars consider Sahaidachny to be the author of the tract Poiasnennia pro uniiu (An Explanation of the Union). He became the subject of the folk song ‘Hei na hori tam zhentsi zhnut’' (Hey, on the Mountain the Harvesters Are Harvesting).